The St James Big Local Treasure Hunt exhibition was at The Mill on Coppermill Lane. 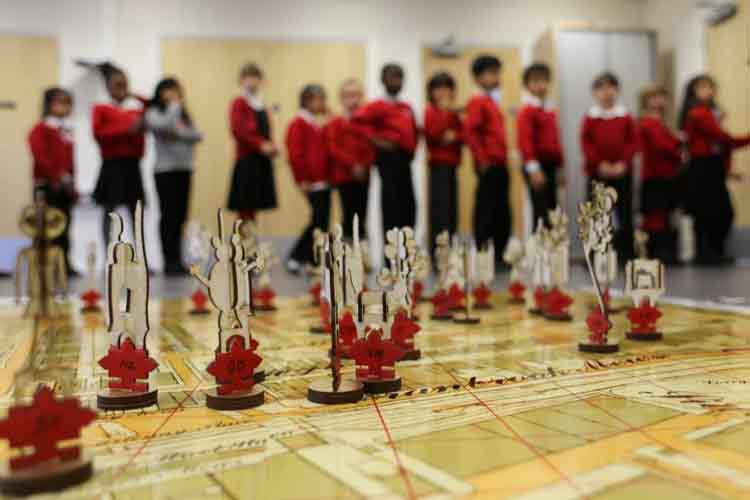 Two free public Treasure Hunt workshops allowed 40 members of the public to add their ideas to the giant wall map which recorded the treasures in the St James Street Area as discovered by local school children. A local resident who attended the workshop said “Absolutely beautiful map with laser-cut wooden markers made from children’s illustrations”. An appeal has been started to find a new home for the map so that it can remain on public view.